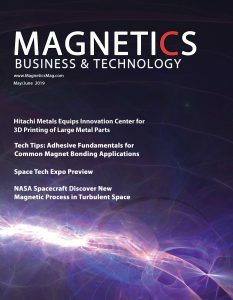 Plan today for the 2020 Resource Guide issue of Magnetics Magazine, appearing in the July/August 2019 issue! 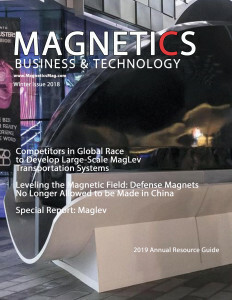 This Issue will feature a comprehensive Resource Guide of Magnetics Manufacturers and Component & Service Providers that provide products, services and technology to OEMs, Dealers and Service Professionals. Readers of Magnetics Magazine will use this guide all year long when making purchasing decisions for their companies. Be sure your company is included in this exclusive resource! Please contact Scott Webster at917-445-6122 for more information. All profiles will be placed alphabetically. Display Advertising and Space Reservations accepted through June 13th, 2019. Materials close is June 20th, 2019. The Resource Guide issue is distributed in July and August of 2019.